Are looking for things to do in Fife? Then why not take a trip to the Scottish Fisheries Museum? It makes an ideal day out for yourself, your family and friends. Situated in Anstruther in Fife it is easily accessible by all means of transport. Anstruther was a bustling fishing town for many years and in the latter 20th century when the industry changed, a group of people wanted to be able to preserve this important way of life. The seed was planted and eventually grew until the formal opening of the museum in 1969. The exhibits are spread out across a series of historical buildings ranging from the 16th-19th century and cover every aspect of the industry and fishing community. Here you can submerge yourself fully in to this unique and wonderful way of life. There are many collections that you can choose to browse through. There is a large collection of photographs covering all periods from the early 19th century right up to present times. Being an art gallery as well as a museum there is a large collection of paintings and drawings that depict life in the fishing community through expressive lines and brushstrokes. Then there is the museum fleet! And how significant it is. No fishing could have been done with out the boats! 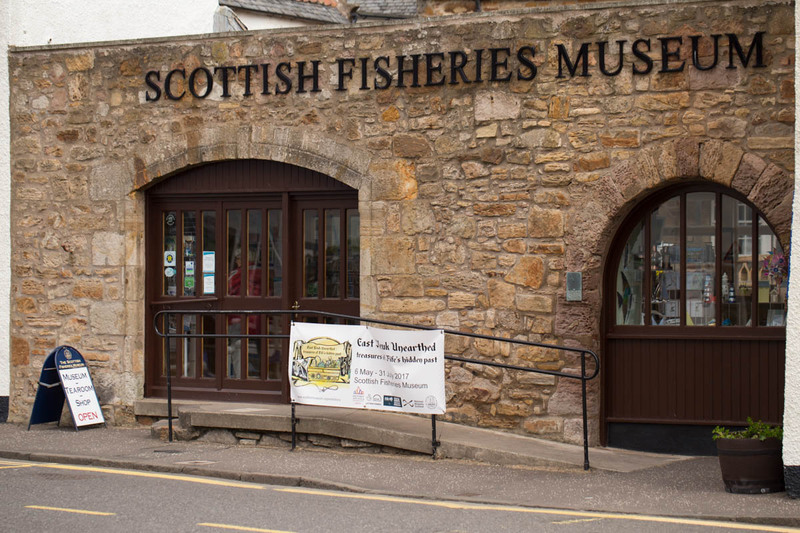 Here at the Scottish Fisheries Museum you can explore 20 vessels that were used for fishing in Scotland and Fife, three of which are listed on the National Historic Vessel Register. You can explore many displays such as model boats, primitive fishing, whaling, how the herring market operated, days of steam, clothing, boat building, the blacksmiths workshop, the engine room, the fisherman’s cottage and loft and much more! You will be lost in this way of life that you will want to take to the seas by the time you leave! To find out more visit the Scottish Fisheries Museum website ask us here at Silverdyke Park. We are neighbours and can give you all the information you need for an educational and unforgettable day out! Add this to your list of things to do in Fife when you come to visit! If you are planning any holidays in Fife then we have pitches for tourers available. We also have luxury holiday lodges and homes for sale. To find out more about our caravan park here in the Kingdom of Fife please just get in touch on 01333 313 098 or contact us by email here. We look forward to hearing from you.